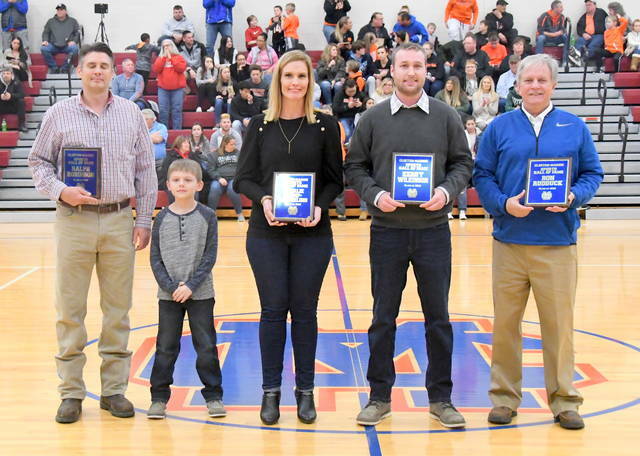 ADAMS TOWNSHIP – In the basketball rivalry between Clinton-Massie and Wilmington, its been a long time since the Falcons took down the Hurricane, December 2004 to be exact. 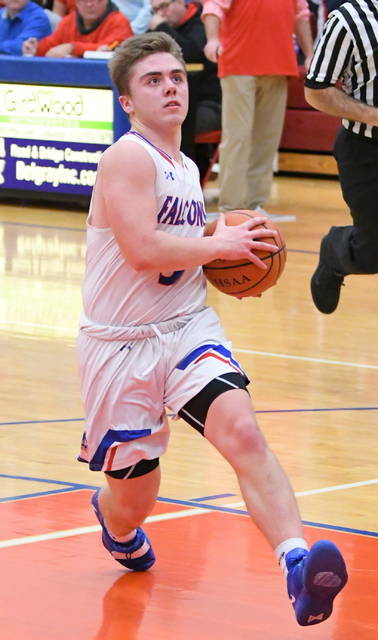 On Friday night, the Falcons snapped that long losing streak with a 63-53 victory over the Hurricane in SBAAC American Division action Friday night. Clinton-Massie head coach Todd Cook said he was told the victory was just Clinton-Massie’s second over Wilmington in the last 41 years. The Falcons jumped out to a 14-5 first quarter lead. Wilmington had a 16-12 edge in the second period, making it a 26-21 contest at the intermission. 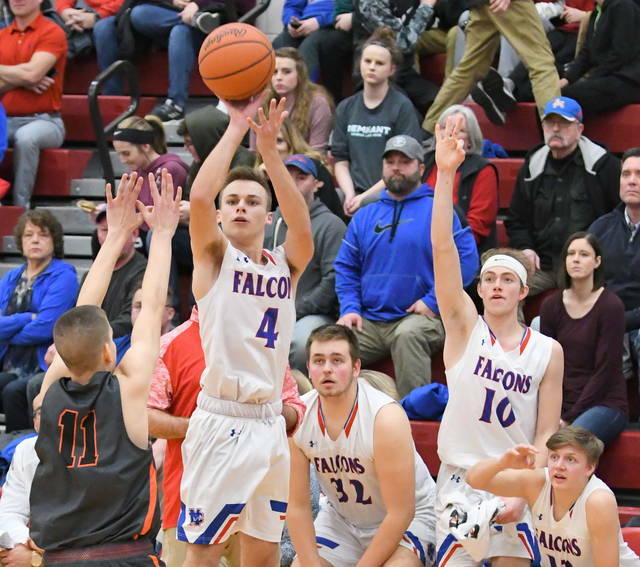 Massie took control of the game with a strong effort in the third period (19-11), giving the Falcons a 45-33 advantage going into the final quarter. Eventually, the Falcons extended the lead to 17 points before WHS made a couple of comeback efforts. ”Wilmington made a couple of runs late in the game and we stayed strong and focused and continued to take care of business,” Cook said. The Hurricane won the first meeting between the two teams. Following that loss, Cook told his squad to change its mentality when it steps on the court for this one. ”Let’s get rid of this mental block,” he said. “We are a very talented team. We have the ability to make this situation happen … to get a win. We need to go in and play to win and not play not to lose. We were playing not to lose. Thomas Myers led all scorers with 23 points for the Falcons, including 10 in the fourth quarter. He accounted for 17 second half points for Massie. Zach Chowning added 11 for the Falcons, including a trio of three pointers. 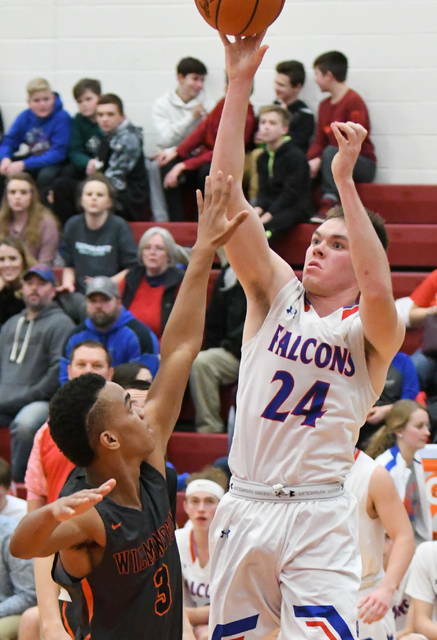 Lamb scored 12 points for the Falcons and Drew Settlemyre was the fourth Falcon starter to reach double figures with 10. 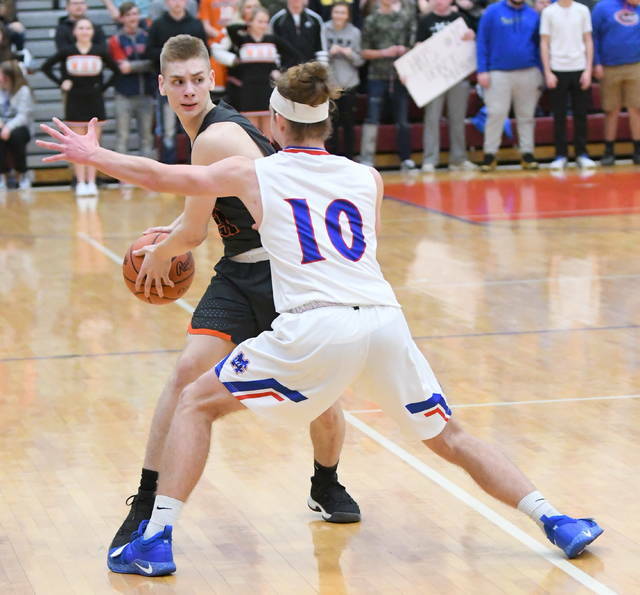 For the Hurricane, Cam Coomer had 17, including 14 in the fourth period. Matt Butcher scored 12 points for the Hurricane, including 10 in the middle two periods. The Falcons were able to nail down the victory with a 12 for 16 effort at the free throw line, including 8 of 11 in the fourth quarter. 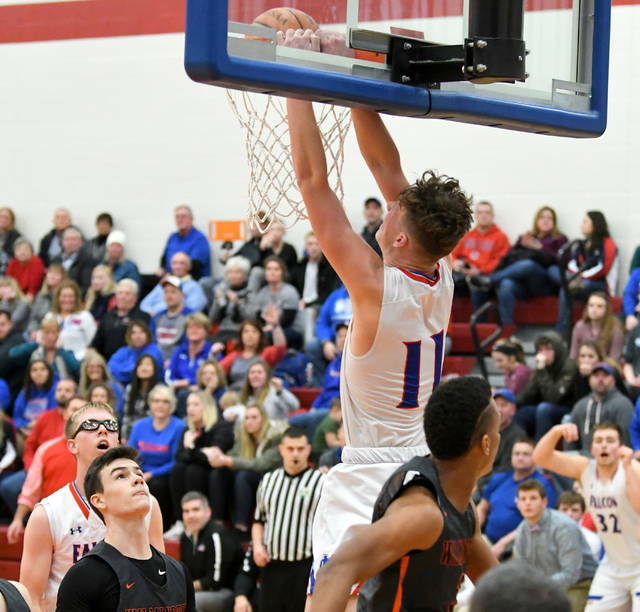 Next up for Clinton-Massie will be a non-league contest Tuesday at Bellbrook. Wilmington will be hosting Xenia, led by University of Cincinnati signee Samari Curtis, Saturday at Fred Summers Court as part of the Scholastic Play-By-Play Classic. 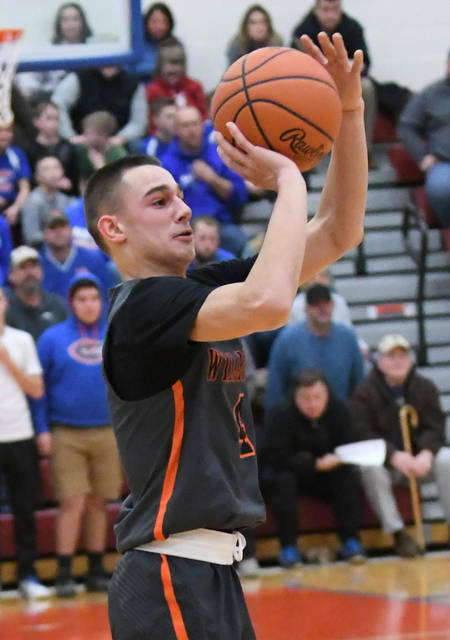 (53) WILMINGTON (2fg-3fg-ft-tp) Morris 1-2-0-8, Coomer 4-1-6-17, Custis 4-0-1-9, Jacobyansky 2—0-4-4, Anicic 0-0-0-0, Butcher 4-1-1-12, J. Stewart 1-0-1-3. (63) CLINTON-MASSIE (2fg-3fg-ft-tp) Lamb 5-0-2-12, Chowning 0-3-2-11,Myers 9-5-23, Laake 3-0-1-7, Settlemyre 4-0-2-10.